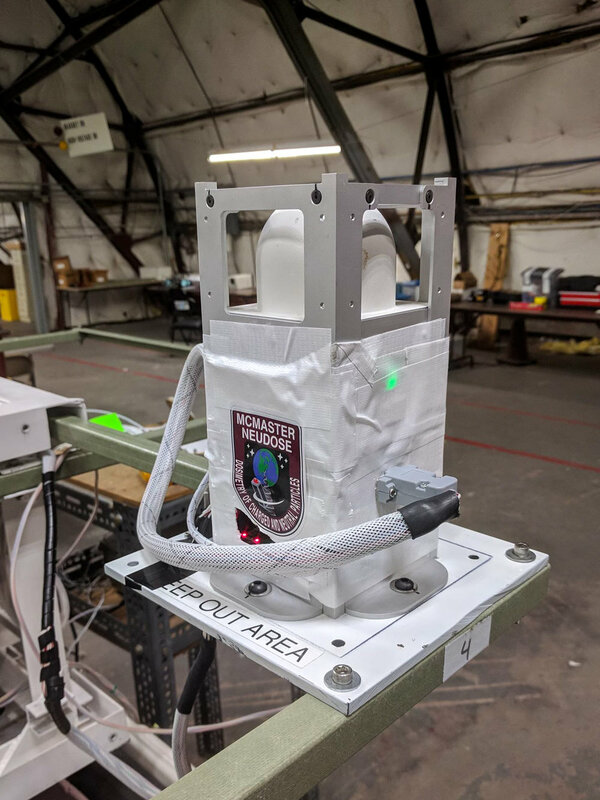 As preparations for the flight of the High Altitude Student Platform (HASP) enter their final days, team members Luis and Jimmy took the trip to Fort Sumner, New Mexico to ensure our NEUDOSE Instrument is set up on the platform to specification. Some of their main responsibilities are ensuring the instrument is secure and all the required systems are communicating as planned. Weather permitting, the platform will fly this weekend, sending 12 student payloads to 36km altitude.